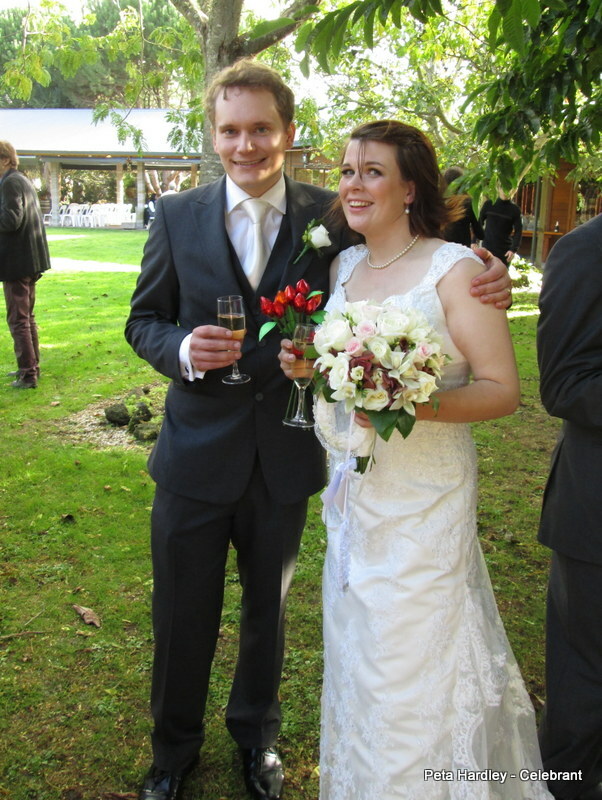 I’m a bit behind with my blog and have been meaning to share a few pics of some wonderful couples most of whom chose to marry during Autumn in lovely Kumeu. And who wouldn’t want to marry in a place filled with lovely open spaces, vineyards and just a stone’s throw from fabulous Muriwai beach? You don’t need a summer wedding for it to be fabulous! Debbie and Rob made a dashing couple. They chose to have their family photos in the wine cellar at Soljans. I suspect there were a few people who would have been happy to stay in there all night. 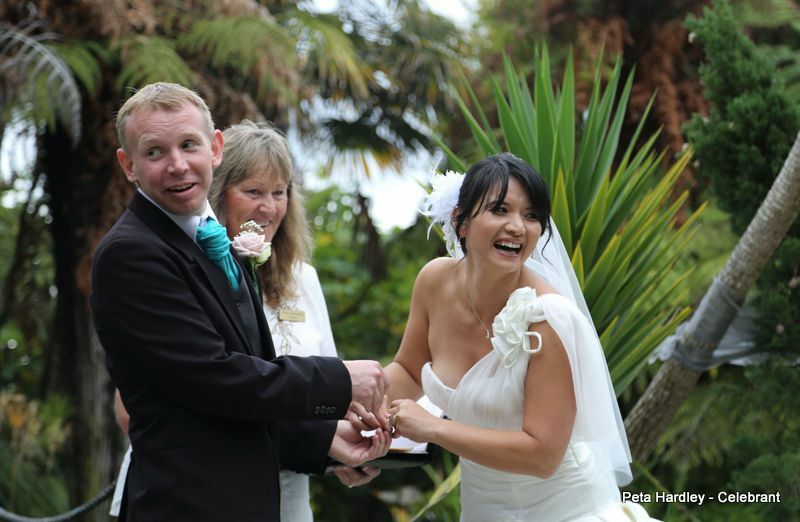 Rachel and Norm travelled from Rotorua to share their big day at Markovina with family and friends. 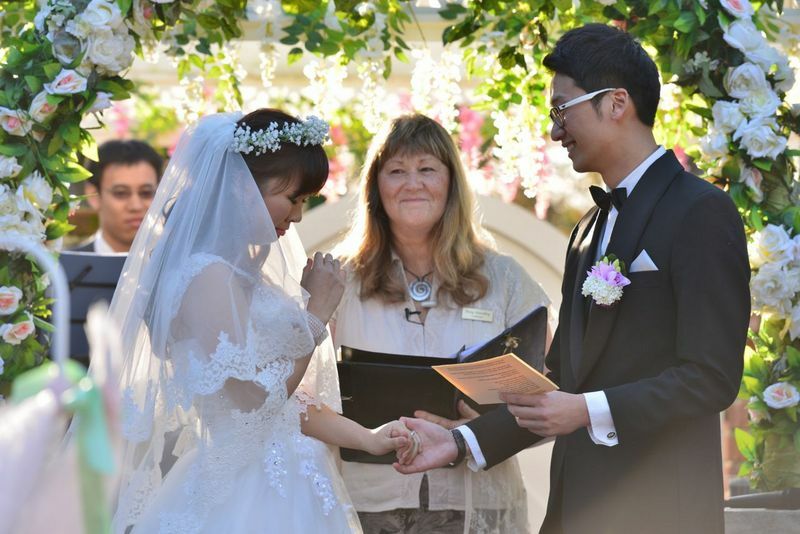 The sun shone on this delightful caring couple as they shared their traditional but heartfelt marriage Vows. 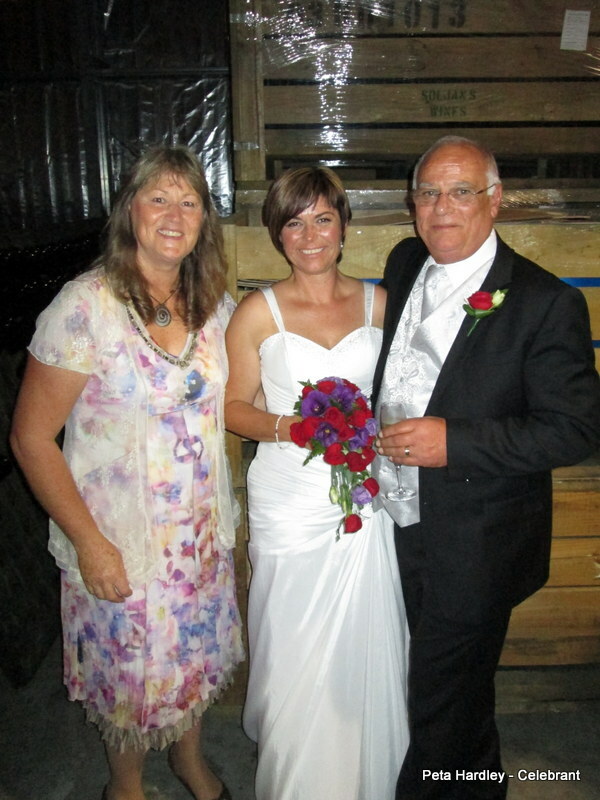 Still in Kumeu but this time at my place – ‘Casabella’, Jane and Wayne tied the knot. 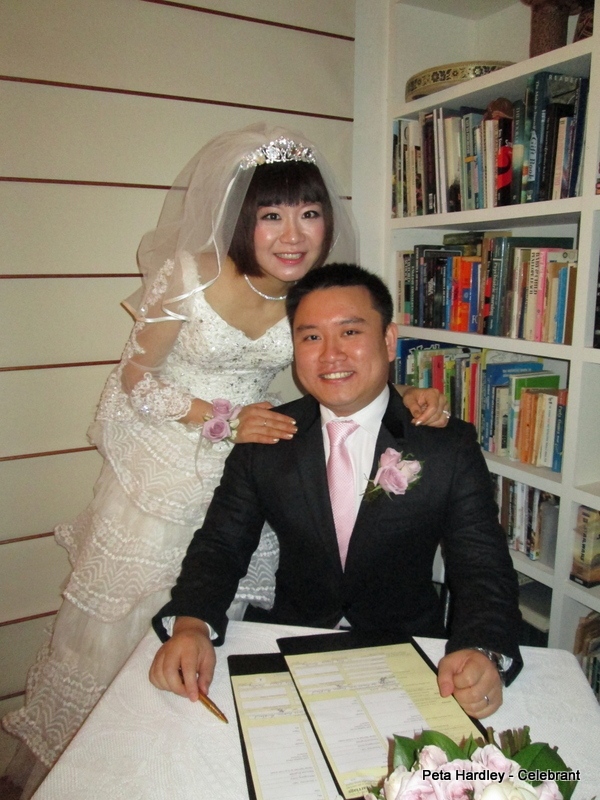 Because Jane had been overseas, Wayne was the one who organised the entire wedding. A very good job he did too! 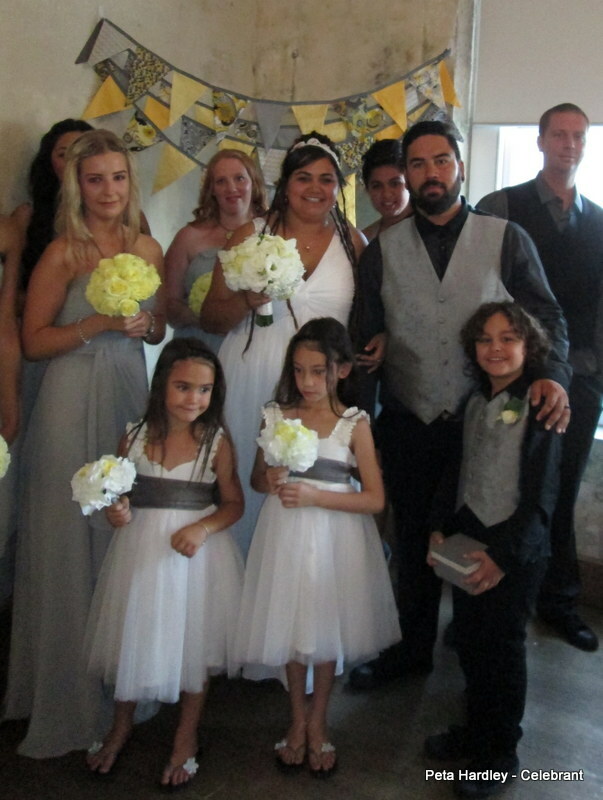 Bucking the trend of having a Kumeu wedding, Hana-Jane and Leigh with their two beautiful children, chose an inner city venue for their nuptials. It was a very festive fun day shared with friends and whanau. My warmest wishes go to all these lovely couples, who have chosen unique personalised ceremonies when they tied the knot with the person of their dreams.